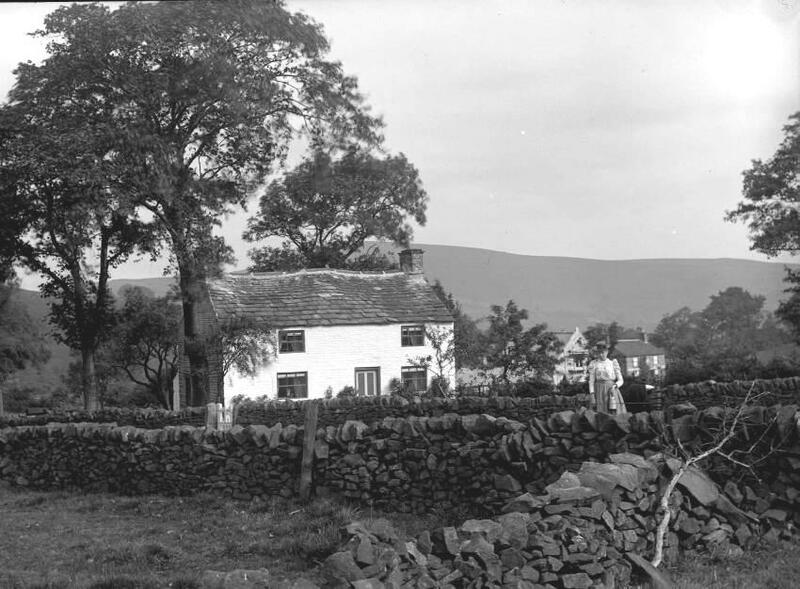 The photo id for this photograph is 520, in the Kettleshulme album. Laura - did your dad remember where this might be? The nice little cottage in question is Paddock Cottage before it was extended. The Methodist Chapel is in the background.